Sunshine Day Care Centre is proud to announce their 25th anniversary. Our director Dorn Trout who opened Sunshine Day Care Centre in 1993 is happy to have been able to provide high standard Childcare services to the Cairns Community for a quarter of a century. We are grateful for all the families that have put their trust in us to care for their children. In addition we would like to also thank all our staff for their dedication and commitment to provide the best care for all children at Sunshine Day Care centre. We are privileged to have some of our staff work for the company for over 20 years already. The future plans for Sunshine Day Care Centre are to continue to provide excellent Childcare services for the Cairns community. 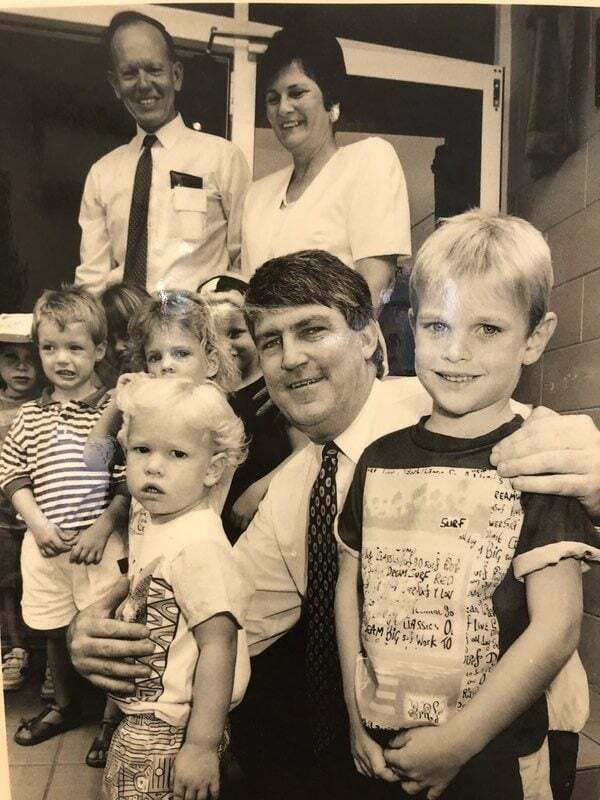 Below is a photo from our Opening Day in 1993 with director Dorn Trout and her husband Peter Trout at the back and Cairns Mayor Kevin Byrne at the front of the photo.